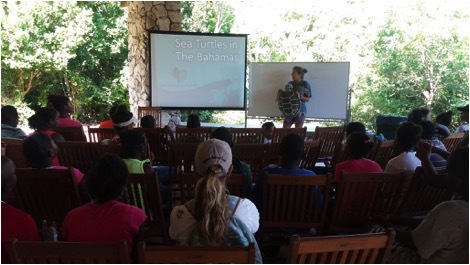 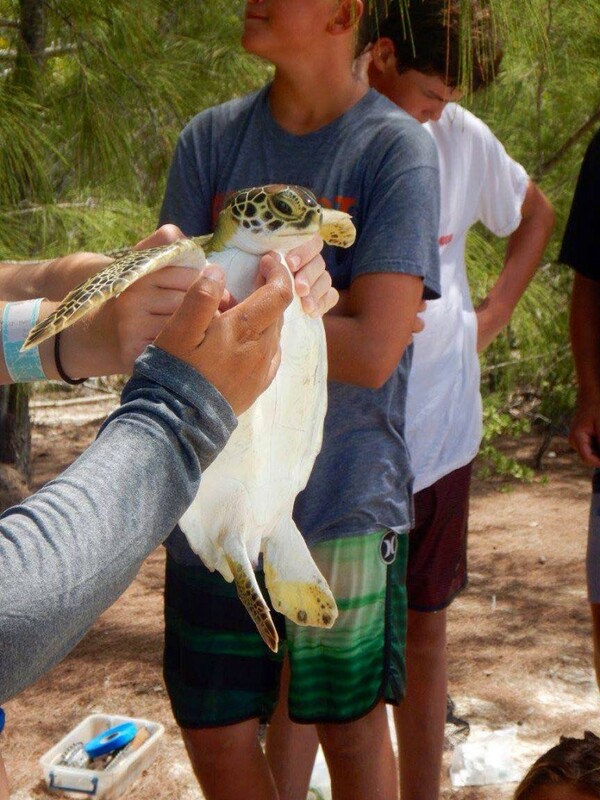 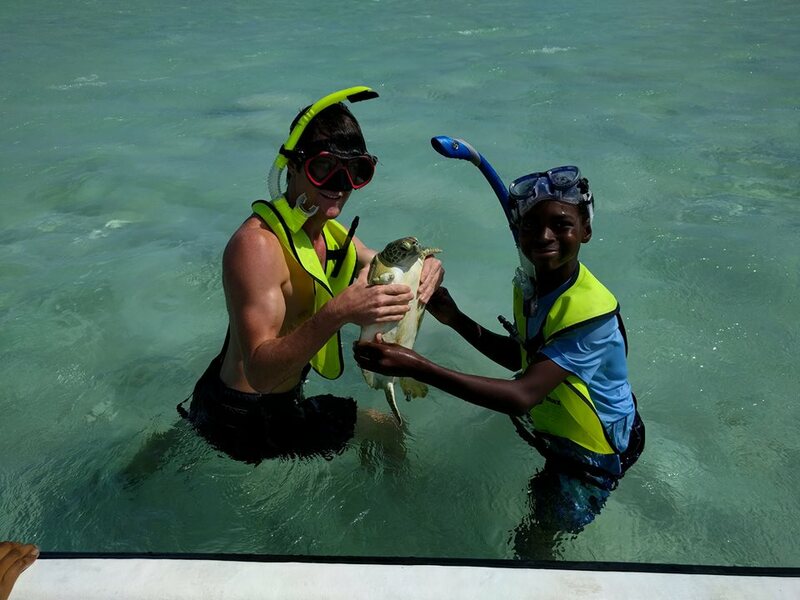 On Thursday, July 28th representatives from the sea turtle research team at CEI went to the Leon Levy Preserve in Governor’s Harbour to share their knowledge about sea turtles with 30 Bahamian children attending the Bahamas National Trust Camp Safari. 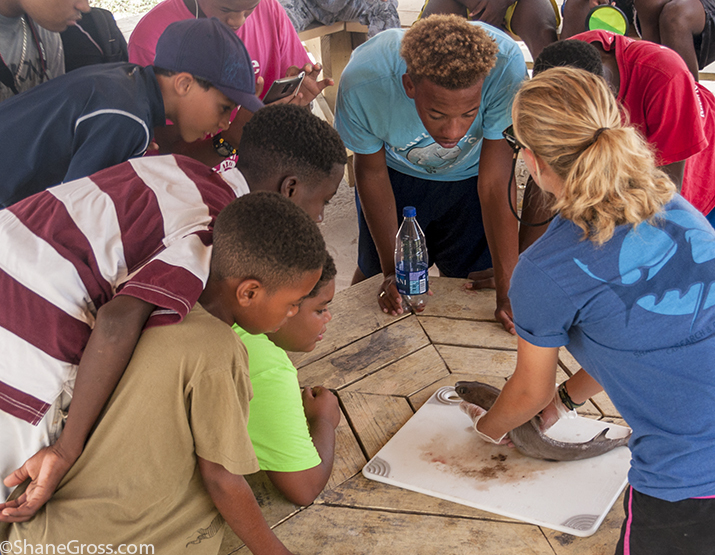 The week focused on herpetology and during a morning block the CEI team taught the campers about sea turtles. 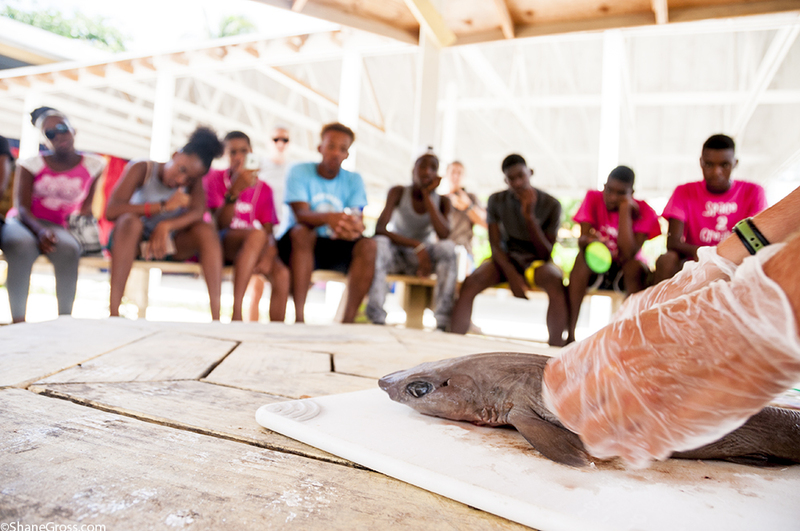 A presentation explained the 4 different species found in The Bahamas – green, loggerhead, hawksbill and leatherback – as well as about their life cycle and some of the threats that these reptiles are facing as well as some conservation measures that are helping restore populations. 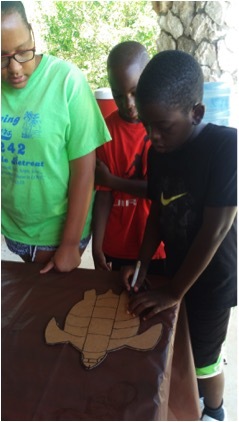 Research Technician, Anna Safryghin, teaching kids at Camp Safari about sea turtles. 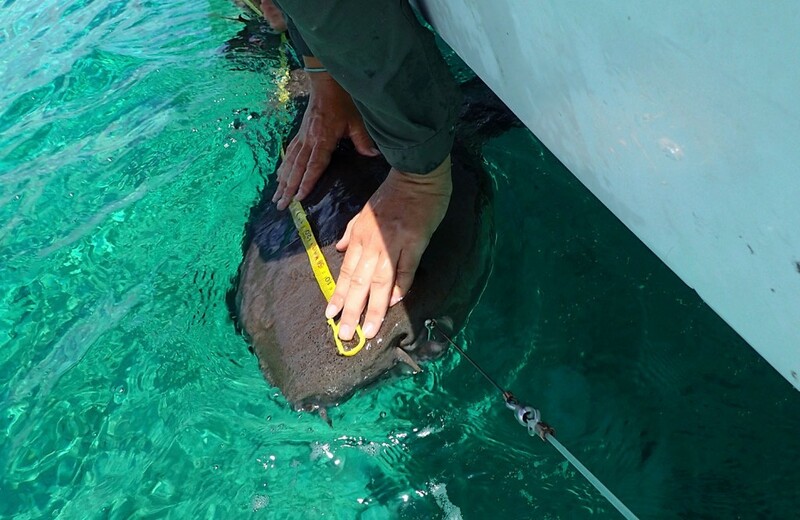 A nurse shark (Ginglymostoma cirratum) being measured. 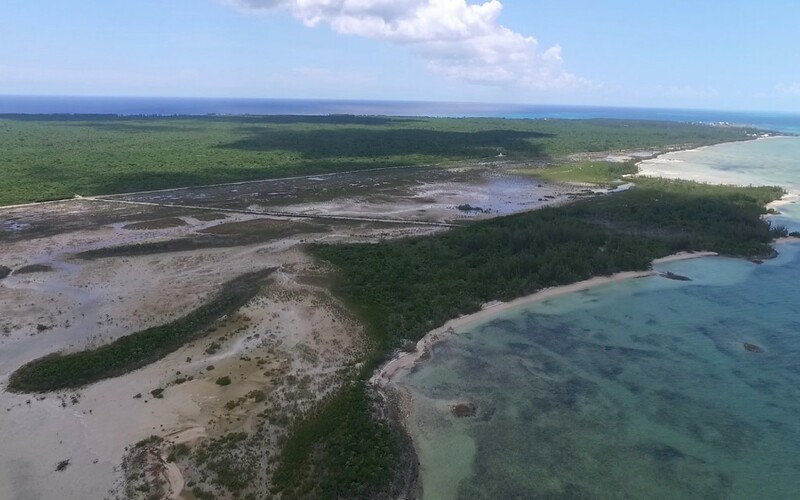 Kemps Creek which borders the Grand Bahama Bank. 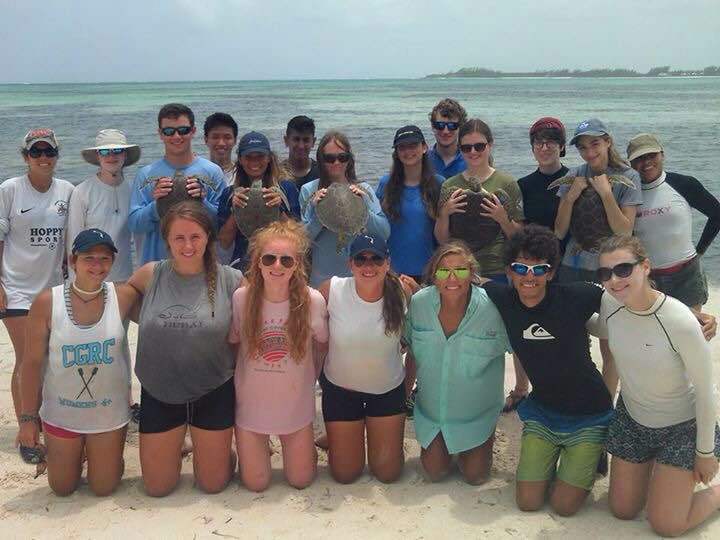 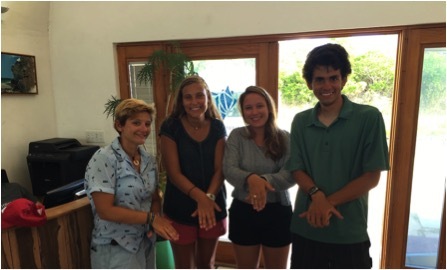 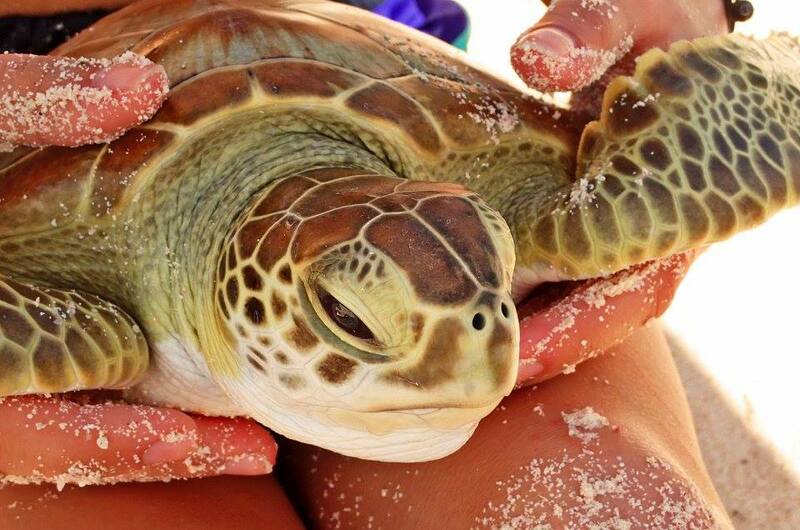 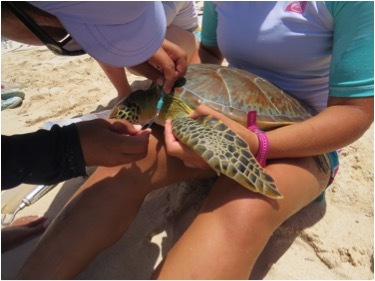 Recently, St. Thomas Aquinas High School from Dover, New Hampshire helped conduct research with the CEI sea turtle research team in Winding Bay. 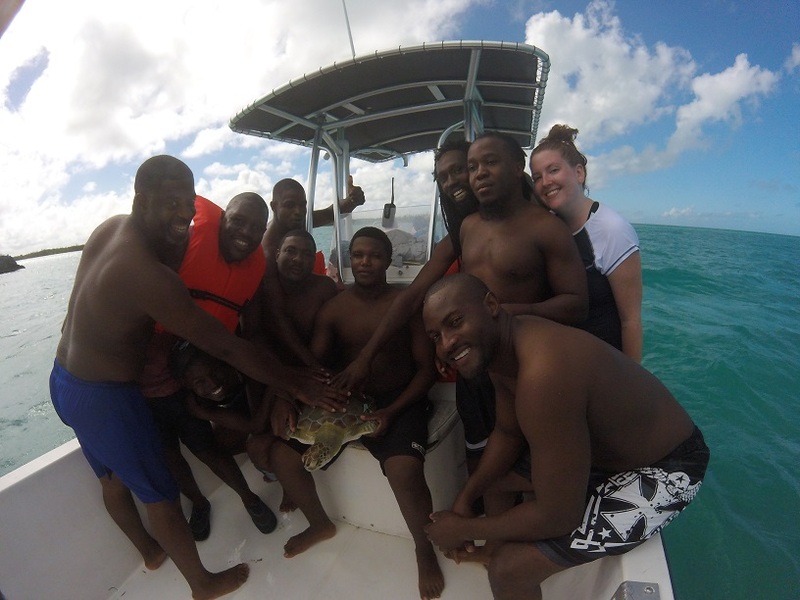 Although the weather was uncooperative on Friday while the group was seining, they came out strong with the capture of five green sea turtles in their first attempt. Seining is a method used by several research teams at CEI that involves a very long net that temporarily encloses the animals inside. 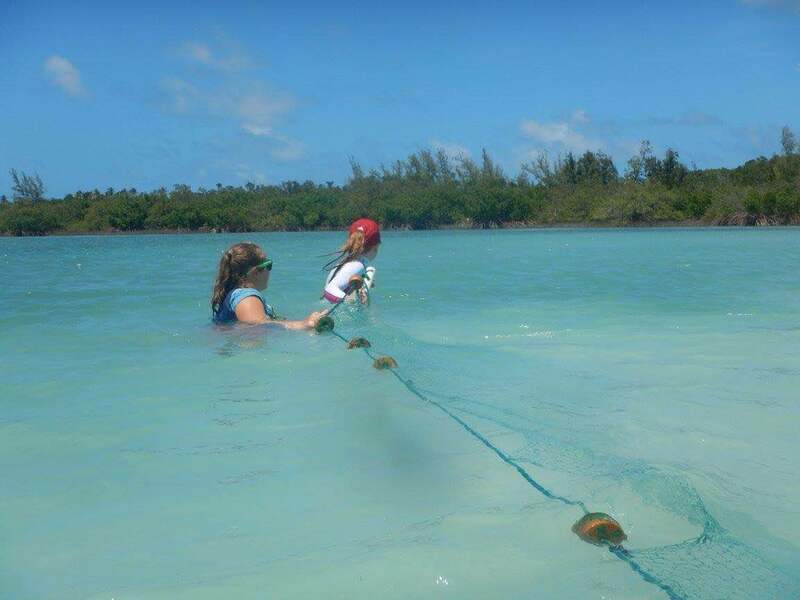 The group on Saturday had to put in a little more effort as it took five seining attempts to finally capture three green sea turtles! 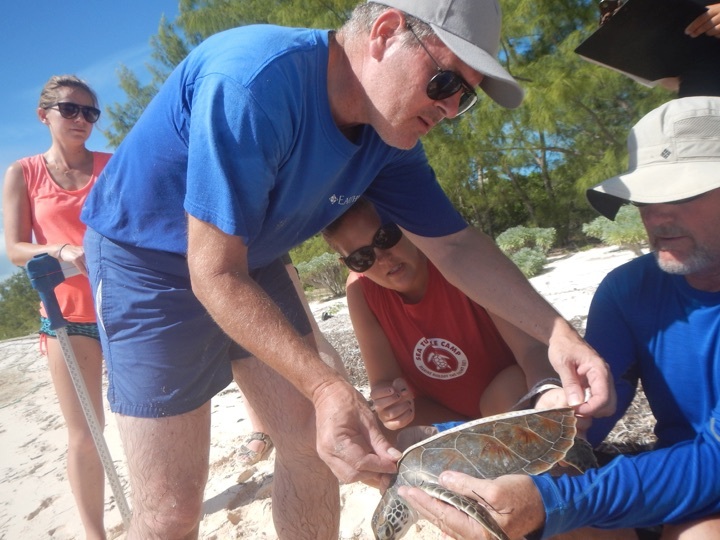 One turtle that was captured, Kyra, had its left rear flipper almost completely detached. 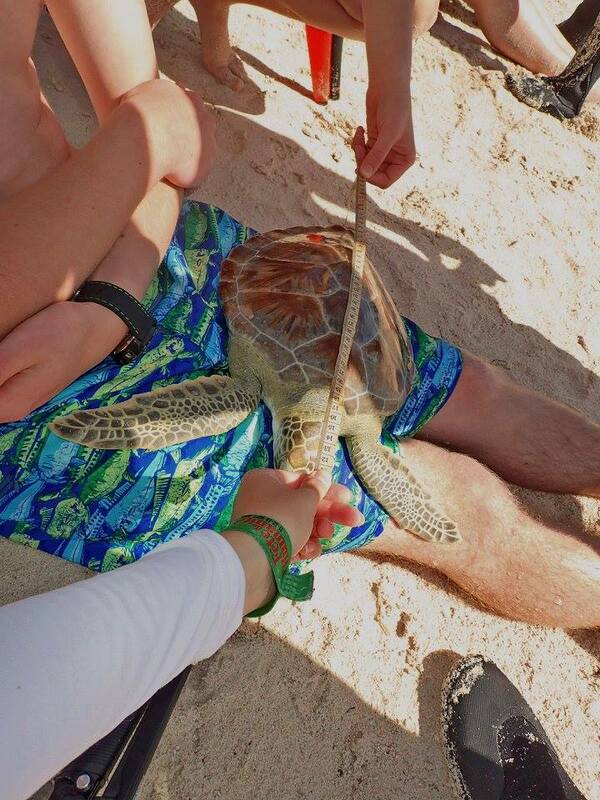 The wound was healed and the flipper still had some movement. 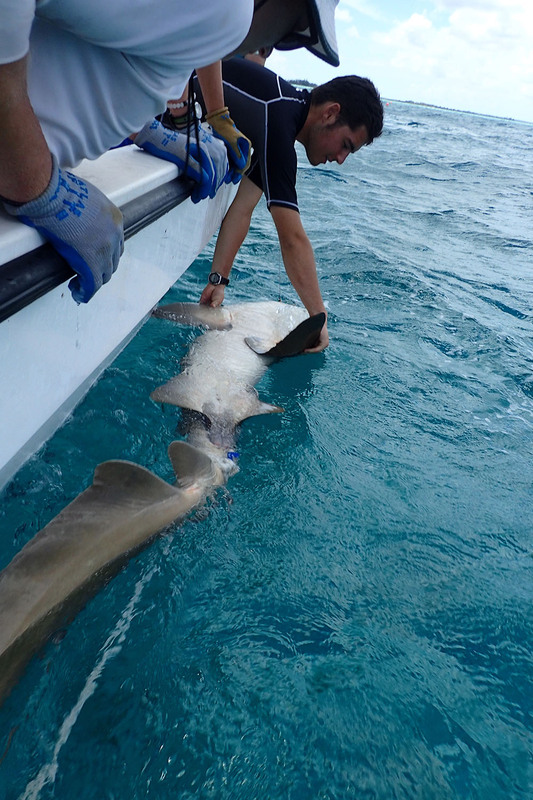 What caused the damage is unknown, but Kyra is lucky to have kept this limb! 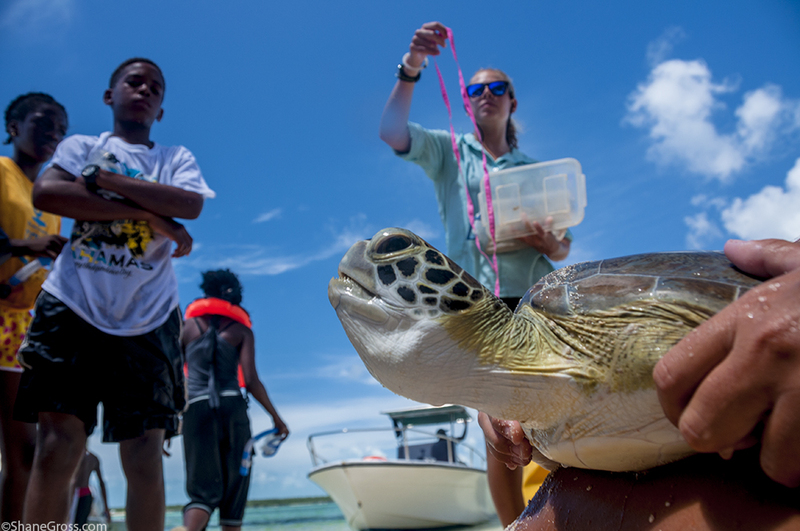 Green turtles don’t typically use their rear flippers much except for maneuvering while swimming, and females use them for digging a nest. 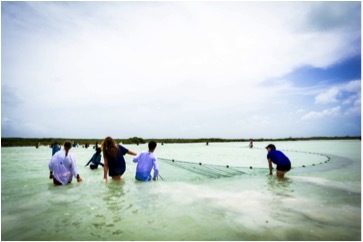 Last Thursday was The Island School Research Symposium! 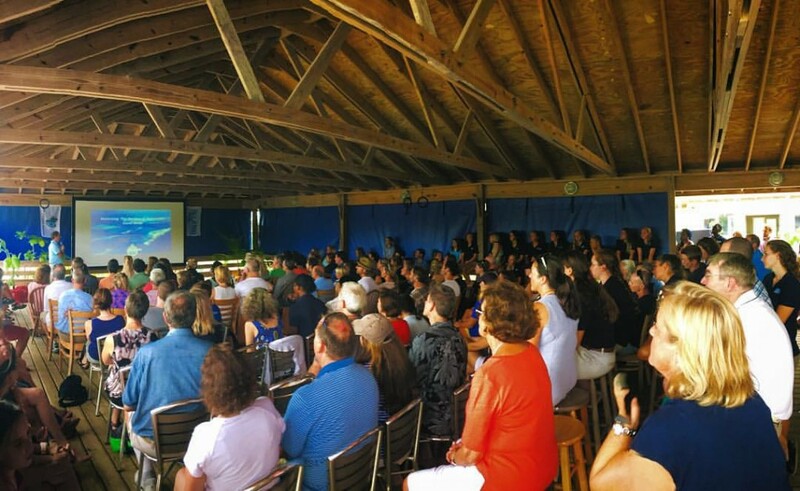 It is a highlight of Parent’s Week, and a time for parents to hear about the good work being done by their sons and daughters. 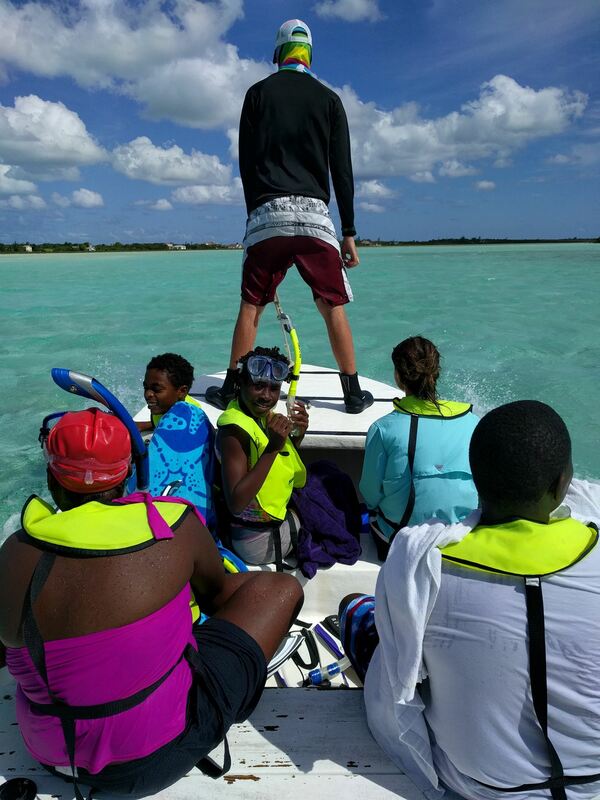 Throughout the semester, The Island School students have collaborated with CEI researchers, contributing to ongoing research projects. 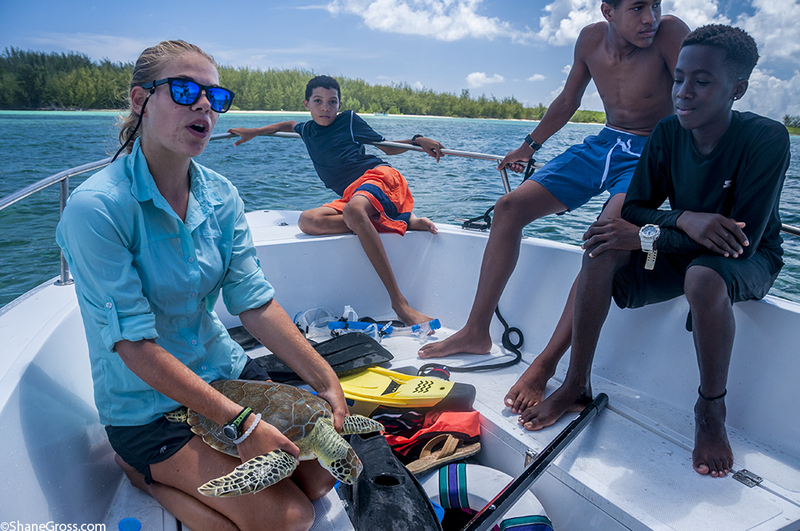 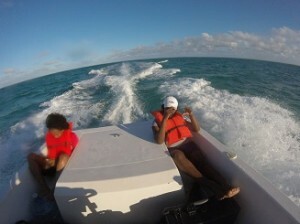 They have been studying various ecosystems around Eleuthera, including inland ponds, the pelagic zone, the deep sea, shallow water sandbars, and tidal creeks . 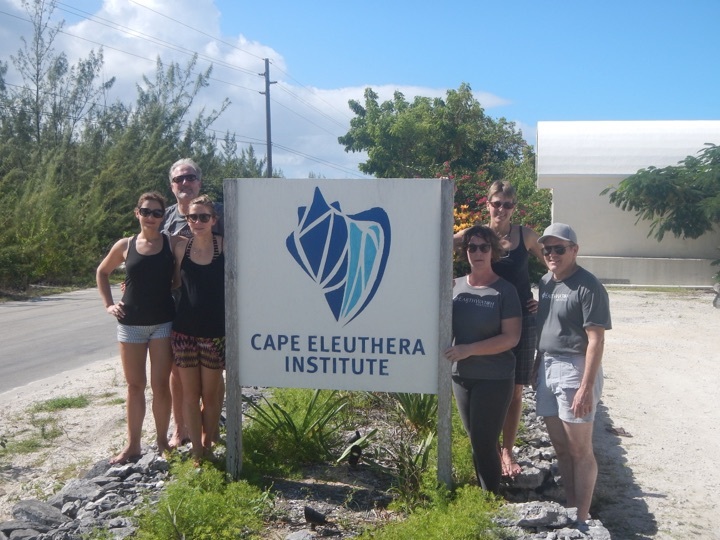 Dr. Craig Dahlgren discussing the current state of coral reefs in The Bahamas. In all, nine projects were presented, and Dr. Craig Dahlgren, Senior Research Scientist for the Bahamas National Trust, concluded the event with a talk on the state of coral reefs in The Bahamas. 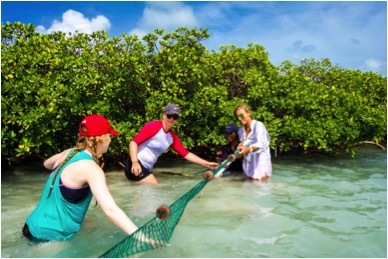 All nine projects are being featured on our Instagram (@CEIBahamas) and Facebook pages, so please check them out for more details on the amazing research done this semester!